Sometimes, there are characters in horror movies that, even if they’re not the protagonist, just stand out. We see them and we immediately want to see more of them. They pique our curiosity. In some cases, it’s because of what the actor brings to it. They have a larger-than-life personality that just seems to dominate the screen. In other cases, it’s because they have a video camera in their hands the whole time. 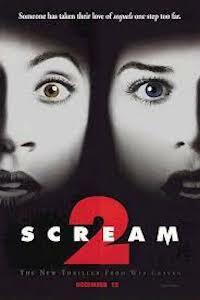 Beginning in the late eighties, this was something audiences started seeing more and more. 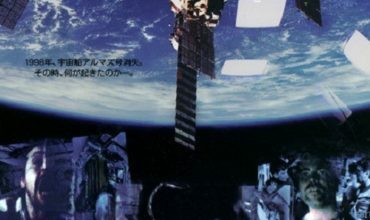 The films themselves were not found footage, but there would be a character nonetheless inclined to film absolutely everything that they came across as if it was their only way to interpret the world around them. This technique was used quite effectively in American Beauty, but there have been plenty of characters within the horror genre that embraced that trend. 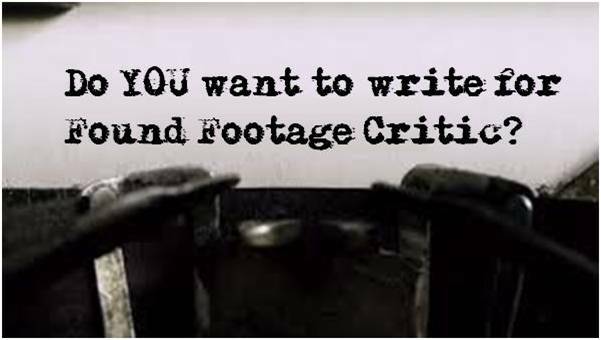 Weird and even horrific as they might be, we want to see the found footage movies that those characters were shooting. 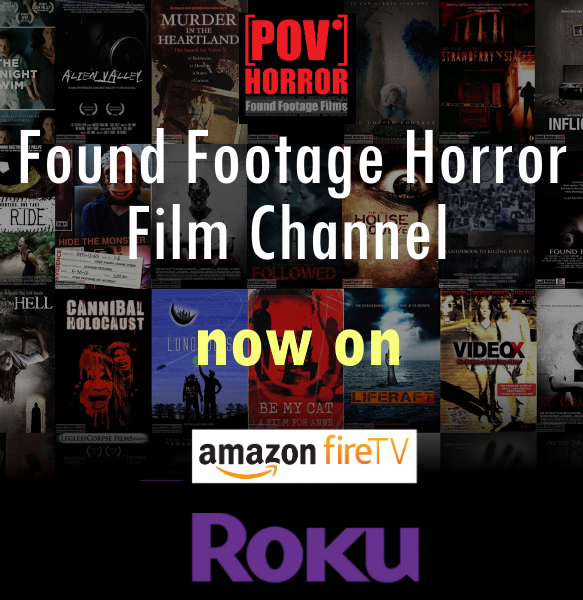 Read on to see our picks for five characters that could have sustained a found footage spinoff! Otis (Tom Towles) is a dramatic choice to start the list off, but he would make for an undeniably horrific movie. In that film, Henry (Michael Rooker) is our protagonist. Even if he does terrible things, the audience needs to be on his side to some degree. Much of that is accomplished by Rooker’s terrific performance, but it’s also aided by the introduction of Otis. This character is unlikable, cruel and even chilling right out of the gate. The easiest way to get the audience to relate to Henry, it stands to reason, is to have a character who appears to be even worse. Partway through the film, Henry and Otis pick up a video camera which they then use to film some of their crimes. Henry is sold on the novelty of it at first, but there’s something about watching his own crimes that makes him incredibly uncomfortable. Otis, on the other hand, is intoxicated by it. He loves to watch the things he’s done over and over and over again. Any spinoff that could have existed for Otis and that video camera would have probably resulted in one of the most uncomfortable movies ever made. If handled right, though, it could have been a genuinely unsettling and horrific work that would slowly chronicle the downfall of the dimwitted serial killer without him even realizing how much evidence against himself he’d be committing to film. 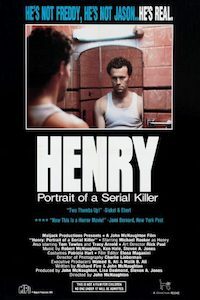 Henry: Portrait of a Serial Killer is an almost documentary-style film about a man named Henry who has just gotten out of prison and has come to live with his former cellmate, Otis, and Otis’s sister, Becky. While Henry and Otis go out each night on a continuing murder spree, Henry also bonds with Becky, who is being abused by Otis and only wishes she could escape from the anxious, suffocating life she’s living. Like Jason Takes Manhattan itself, Wayne (Martin Cummins) is completely baffling. He’s best friends with rocker JJ (Saffron Henderson), helps the popular Tamara (Sharlene Martin) blackmail the principal, and whatever else he does throughout this movie, he does with a camcorder in his hand. Wayne is filming throughout the entire picture, right up until his death. Given that Manhattan is widely considered to be one of the lower-tier Jason features, there’s an argument to be made that the film could have been more interesting had Wayne actually been the protagonist. After all, there are things to enjoy about Jason Takes Manhattan even if it truly wears its cheesiness on its sleeve. The cruise ship full of high school graduates, where the first two-thirds of the movie is set, makes for a genuinely claustrophobic location, maybe the most of any Friday, given that the spaceship in Jason X is absolutely gigantic. 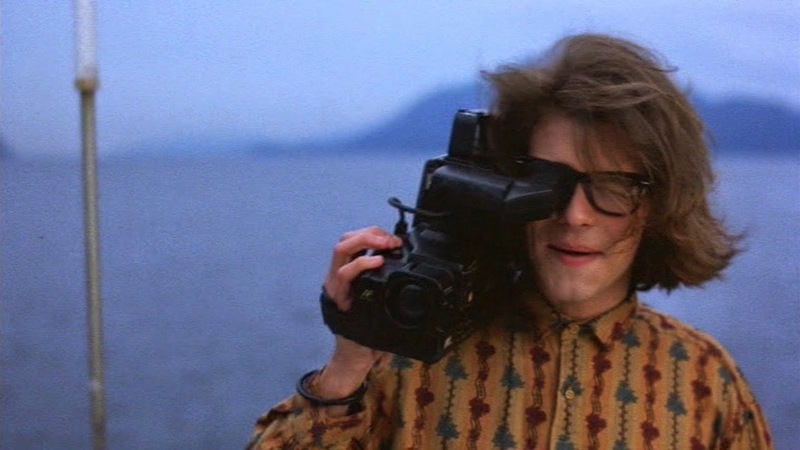 Adding in the fact that Wayne never makes it to the large-scale third act in Manhattan, whatever footage he shot could have made for a genuinely scary, intense found footage feature. Jason lurking around the cabins, the industrial, Aliens-esque lower deck, the storm—all of those things could have been more interesting had we seen them through Wayne’s camera. The graduating class of Crystal Lake High School has just boarded a cruise ship for an exciting trip to New York City—but they’ve got an unexpected stowaway. Jason is at it again, lurking below deck and picking off the student body one-by-one. 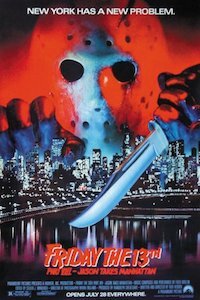 When the ship catches fire in a storm, the survivors make their way to shore, but now the hunt is on as the diabolical Jason tracks his prey through the Big Apple. Joel (Duane Martin) is actually a cameraman for a local news crew. He takes pride in his work, even boasting that he almost won an award for shooting the Bingo finals. Joel is one of the most endearing characters in Scream 2, even though he has less screen time, and he even manages to survive the film. Because of that, a found footage spinoff could have taken any direction and would probably still have been great. Joel could have been secretly filming throughout Scream 2, trying to piece together his own investigation as to who the killer might be. If he suspected Gale, this could have been a great reason for him to keep what he was doing from her and would truly have made for a genuinely funny satire in the vein of American Vandal. It’s also possible that, as a survivor of the Windsor College Massacre, Joel could have come back to serve as a consultant on the inevitable Stab sequel that followed in the wake of the crimes. Any direction this could possibly have taken would have been extremely entertaining to see. Despite his relative lack of screen time, Joel was one of the most energetic parts of an already enjoyable sequel. Anything he went on to film on his own would have been worth watching, without a doubt. Someone has taken their love of sequels one step too far. After a brutal slaying during a preview screening of Stab, the movie based on the Woodsboro Murders, Sidney Prescott once again finds herself being targeted by a deranged killer. Along with fellow survivors Dewey, Gale and Randy, Sidney must work to find out who is trying to orchestrate a real-life sequel before it’s too late. Richard Dees is the only person on this list who is not actually carrying a video camera throughout his respective movie. But he would still be incredibly interesting to see in his own found footage spinoff, nonetheless. Dees is a tabloid journalist. And he is a good one. He is utterly devoid of morals, he has no personal stake in anything he writes. He looks for carnage wherever he can find it, the more horrific, the better the story. If there’s no truth to whatever he’s investigating, then he simply gets to take advantage of people who genuinely believe they saw something. A spinoff TV series, shot somewhere between the style of Catfish and TMZ would be a perfect way to continue or reimagine the story of Richard Dees. It could be a show about the day-to-day inner workings of sleazy tabloid outlet Inside View. Of course, the major difference between this and a real-world tabloid is that occasionally Dees finds himself in horrific situations. In The Night Flier, the serial killer he was tracking turned out to be an actual vampire. A spinoff like this, though, could be a unique and engaging found footage series that would be able to examine the darkest and most unexplored corners of the Stephen King universe. 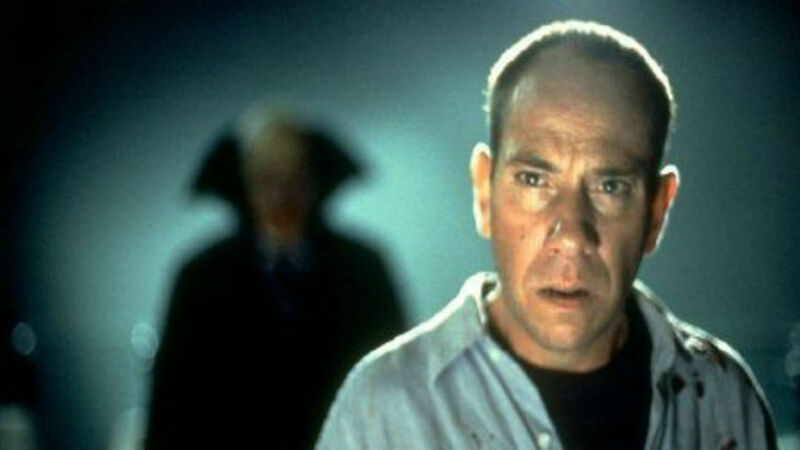 Sadly, it would be tough to even imagine something like this without the late Miguel Ferrer, who perfectly embodied that character in the film. 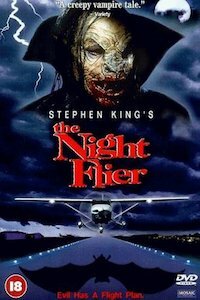 Tabloid reporter Richard Dees is hot on the trail of The Night Flier, a serial killer with a small biplane who lands on remote airstrips at night to drain the locals of blood. Calling himself Dwight Renfield, the killer is clearly wanting people to believe he’s a real life vampire. Dees doesn’t believe a word of it, but his readers will, and so he sets off to track the killer and, more importantly, the story. 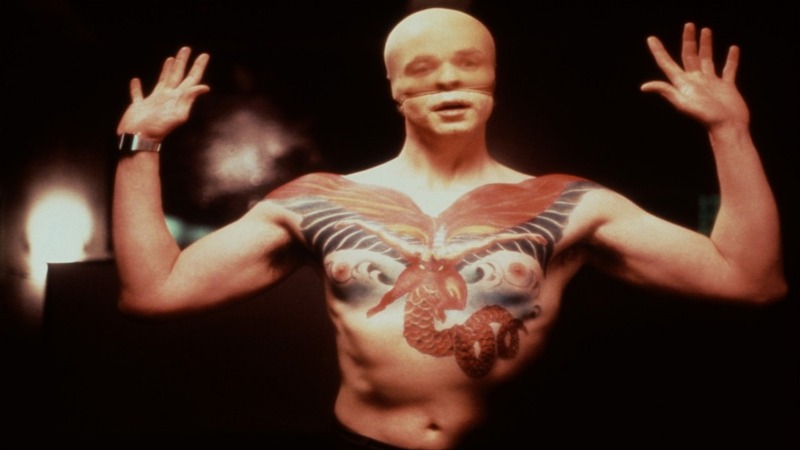 Francis Dollarhyde (Tom Noonan) is a frightening serial killer who treats the act of murder as a sort of ritual. He has traditions, he has a set number of things he needs to do in order to feel fulfilled with his victims. This ranges from how he chooses the families to how he kills them and everything in between. One of the most disturbing things that Dollarhyde does, though, is film them. The Tooth Fairy, as he is known, films all of the families before he kills them. Part of this is so that he can keep a record of his victims, a kind of souvenir. But it’s also so that he can get to know them. 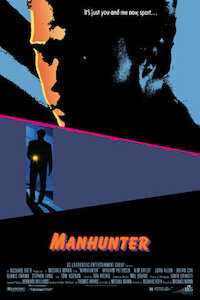 Filming is part of the hunt for him. It’s how he’s best able to study them. The idea of a found footage movie from Dollarhyde’s perspective could, even more than Otis, be insanely creepy. 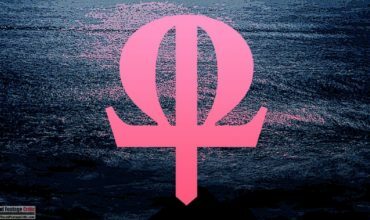 Seeing everything Dollarhyde does through his own eyes would be wholly unsettling, similar to the Maniac remake. But whereas Maniac is simply a stylistic POV, this would have the potential to pass itself off as true found footage.